Linda is ALWAYS somebody who I enjoy seeing, who comes across as she cares about m situation and my daughter. I have gotten help from several times for food, electricity and once voucher for essentials and they make it easy and non-judgemental. I appreciated that. Your opinion matters. Leave A Review Or Edit This Listing for Old Orchard Beach Community Food Pantry. Provide resources to those in need in our community. Our office provides weekly food and paper items, toiletries and clothing to families and individuals in OOB and Ocean Park. We also provide information on local assistance available in Southern Maine. We always need more information on our pantries. 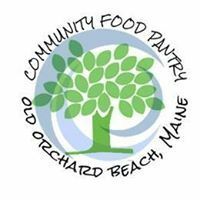 If you know of any details, volunteer information, website, hours or more description information about Old Orchard Beach Community Food Pantry please add a comment (below the map on this page), with information. We will then display this for all visitors on this page.